In Chanel they explain that this gives volume, curling, and persistence. The case is very chic and the unique brush lures the buyers mind. The brush was connected with mascara hairbrush. It applies well with short amount of time without clustering. For the people who are not used to big brush and have short eye lashes it will get some stains on the bottom. The application lasts long however about the curling is satisfying but even for mascara that is half of this price could give that curl. The good point about this product is that it applies sharply and doesn’t have dust. The volume in this product doesn't work that much. However it gives longer lashes. I asked the employer if the mascara smudges. She has it on too but it doesn't smudges. However for me I saw some smudges around 10 o’clock at night. But for my sister, she came home at 12 O’clock and didn’t have any smudges. So it depends on how you use and how it applies on different skin type. I was surprised about the cleansing. I thought the water would erase it but I had to use eye remover. Also it is too expensive to buy with my own money and there are fine mascaras in other brands. The feature is the bend triangle brush. This gets erase by water. The volume and the curling of the mascara is just fine. It is hard to apply if you don't concentrate it will easily get clustered. Also there were some smudges around the bottom and at the end of the eyes. I haven’t trying using ShuUemura mascara so I didn’t expected that much. 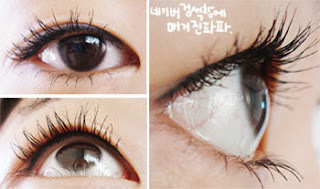 I gave it away to my friend who have double eyelid. There are three colors, black, chestnut, and navy blue. It applies smoothly and doesn’t sting the eyes. In the advertisement it emphasizes the HD coloring so I had expectation on the coloring. The coloring doesn’t lack but compare to other products there are equal amount of color that gives. So comparing in terms of the price I was disappointed. It smudges little bit on the bottom. The size of the brush is big and the brushes are diagonally distributed so it prevents from clustering. Also it will be easier for long eyelash people to use. However for the people who have short eyelashes have to be careful in using this. When I woke up one eye had a double eyelid so I didn’t wash my face and apply the eye shadow right away. When you look at the photo #2 you can see that eyelashes got longer thanks to Dior show Iconic. I didn’t expect to give longer lashes. However there isn’t any volume. It became longer and not leaving the bits of mascara but not really that dark. there are colorful palettes for this collection. But for my eyes doesn’t suit for colorful eye shadows so I went for #065 Black out look. There are black and white colors. This black color isn’t just regular black. There is some brown shade and grey color. The black color gives deep looking eyes. When you look at the white color there are great amount of glitters. There is some dust when you apply with the brush. It is better to use a sponge that is inside the case. When you lightly pat on the color you can apply them clearly. 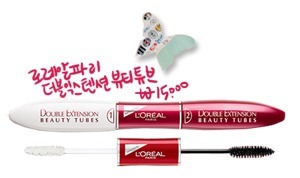 I want to apply heavily but soon the double eyelid will be gone. So for the people like me who have too much of fats when you apply thick it might make the eyes more looking fat. It is better to control the line and give gradation on the sides. 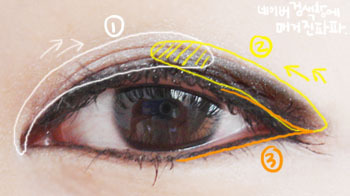 Apply the white eye shadow by the white arrow and black according to the yellow arrow. So the dark eye shadow is concentrated at the end of the eyes so in the middle it gladiate softly. I usually use Bobbi Brown gel eye line but this time I used Mac gel line. When you don't have double eyelid apply the eye shadow like this so it creates deeper look. 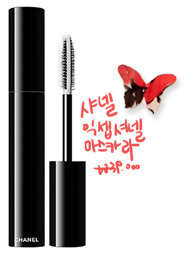 I believe it stands proudly as Korea mascara. It goes better with natural looking makeup than smoky. It applies light without any stings. There is no worry for to get removed by water and there is only little smudge at the bottom. On the right side of the eye. I used mascara after doing the eye line. Before the mascara I used a beauty curler first. Compare to the Dior the curling is better but lacks on volume. I am also satisfied with the persistence and like how it applies to the bottom eyelash as well. It would have been much better if it made the eyelashes thicker. The feature of the Lanege brush is that there is space between the brushes so it applies without clustering. It was a waterproof so I concentrated more on the cleansing. I was being worried about mascara not getting easily erased however when I tried erasing it with any eye and lip remover, it erased perfectly. There were some pictures taken inside the Hollywood celebrities pouches and it sold about 3million in the states. The price is cheap but it functions really well. When you apply them you might see it clustered but that's the enough volume. However the green yellow color easily smudges. 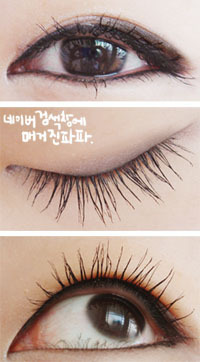 This isn’t good for people who don’t have double eyelashes also short eyelashes would have hard time applying. The black cover has recover from smudging. It still smudges but during the night time so it is ok to by for this cost. Smudges little bit only so for the people who doesn’t get smudge easily should go for this product. This isn’t strong like the mascara made in Japan that gives strong curl. There are so many mascaras to choose from. At least you can trust this brand mascara, it usually works well. It is the Loreal, Maybeline, Lancome! 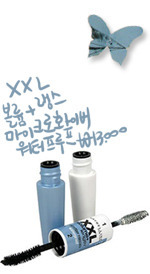 Maybeline XXL volume + lengths micro hiver waterproof. I though this product discontinued but you could find it on the Internet. 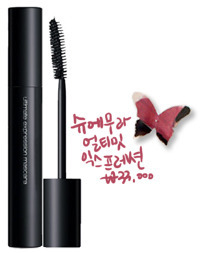 The other side is a base, which it gives long lash and volume. There isn’t too much problem with smudging. 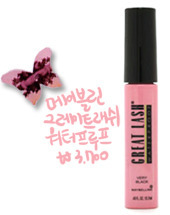 It is good to use for volume and even for curling and long lash effect. This is not recommended if you are looking for clean eyelashes. 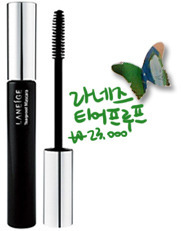 However it gives volume and long lash effect that could easily wash off from the lukewarm water. 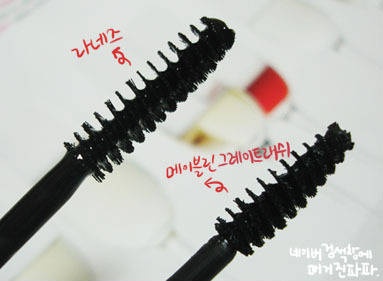 There would be come clustering but curling is better compare to other waterproof mascaras. 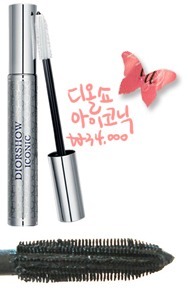 It is an item for people who like to do smoky eye makeup and intensify their eye makeup. This really gives off the effect of dramatic eyes.